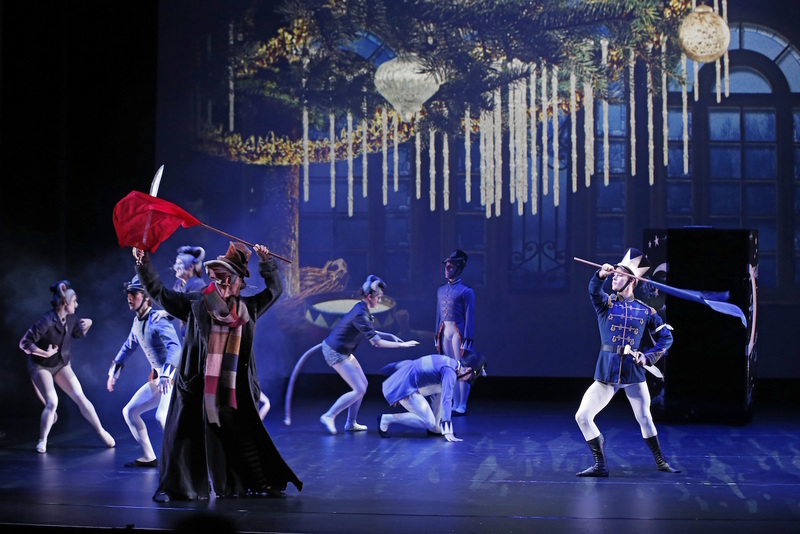 The new production is staged by Artistic Director David McAllister, whose evident love for The Nutcracker is matched by his innate knowledge of the piece. In editing the ballet to a brisk 50 minutes, McAllister has successfully telescoped all elements of the original. Storytelling is pacy, and Tchaikovsky’s hit tunes come thick and fast in an edited recording of the score prepared by creative associate Nicolette Fraillon. Based on the original Marius Petipa choreography, McAllister has adapted the work for an economical company of ten dancers. To prevent save parents from continually whispering the story to their children, the character of Drosselmeyer the Magician has been reimagined as a narrator. There is a gentle pantomime-like quality to the text, that sees children covering their eyes and chanting magic words when requested, and eagerly calling responses as the story unfolds. Actor Sean McGrath has a whimsical manner and a twinkle in his eye as Drosselmeyer, a role that could almost be based on McAllister himself. The touring production is streamlined by the use of projections as scenery. Graphic artist Tracey Lee-Cooper has provided attractive backdrops, with a touch of animation to add to the magic. Lighting designer Jon Buswell expertly illuminates the dancers while allowing the rear projection screen to be seen at full vivid brightness. The scenic design may be relatively simple, but the costumes are a truly lavish treat. Designer Krystal Giddings begins with the traditional Edwardian children’s costumes, before delivering frisky rats, brave soldiers and the handsome national costumes of dancers in the Land of Sweets. 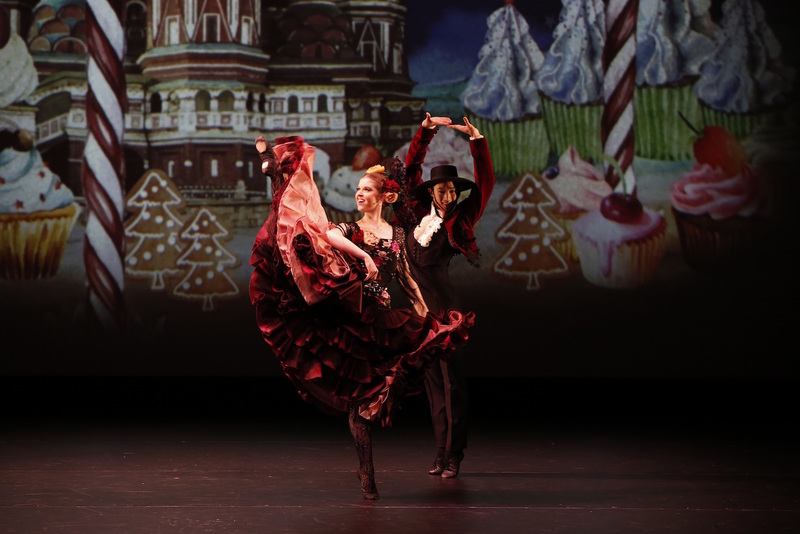 Highlights include the gorgeous colours in the checked matching costumes of Harlequin and Columbine, the Sugar Plum Fairy’s frosted plum tutu, and the seemingly infinite ruffles of the Spanish dancer’s dress. Young audience members were also greatly taken by the licorice allsorts striped tights and silver patty pan dresses of the marzipan Mirlitons. In a clever Wizard of Oz-like touch, the three boys who become soldiers hold the same gifts (a bugle, a rifle and a sword) that they received at the Stahlbaum’s Christmas party. The King Rat has a Dickensian quality to his long shabby coat, draped woolen scarf and worn top hat. Another nifty invention from McAllister and Giddings is the use of a colourful Chinese dragon for the beginning of the Chinese Dancers’ divertissement. 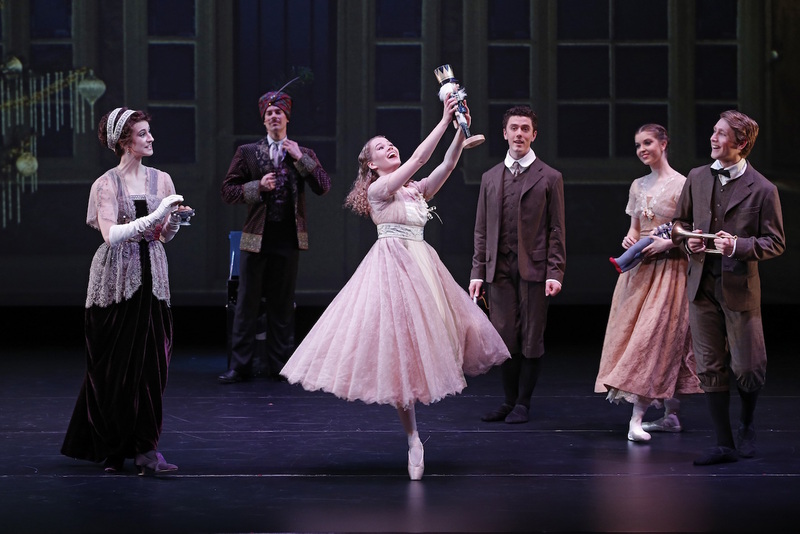 The benefit to the young cast members is that they are all clearly seen in the spotlight, rather than dancing en masse behind principal artists. Each of the performers dances with flair and polish, and brings lively characterful elements to their role. Chantelle van der Hoek makes an utterly charming Clara. She is well supported by corps de ballet member Edward Smith (The Nutcracker/Prince), who has the clear look and talent of a future soloist. Fellow corps de ballet members Kelsey Stokes and Lucien Xu merrily dance Columbine and Harlequin, with Xu also a strong partner in the Spanish Dance. Harley Campbell, Saranja Crowe, Jasmin Dwyer, Elise Foster, Jack Gibbs, Walt Isaacson and Timothy Szczepkowski-Collins complete the well-matched cast. Miss Eight, Man in Chair’s partner for the evening, sat spellbound during The Nutcracker, happily chanting and responding, and following the story with ease. Her favourite costume was the Spanish Dancer’s ruffled dress, and her favourite moment was when Clara knocked out the King Rat with her ballet shoe. 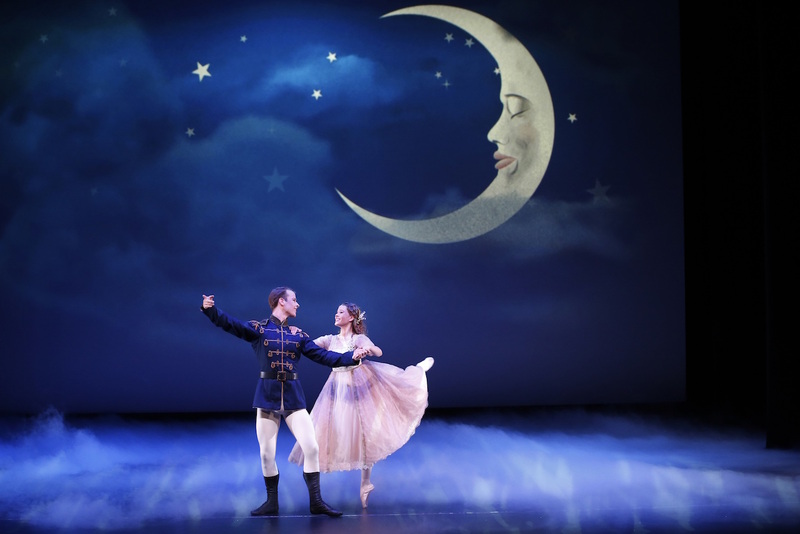 Storytime Ballet: The Nutcracker is ideal holiday entertainment for children lucky enough to secure a ticket. 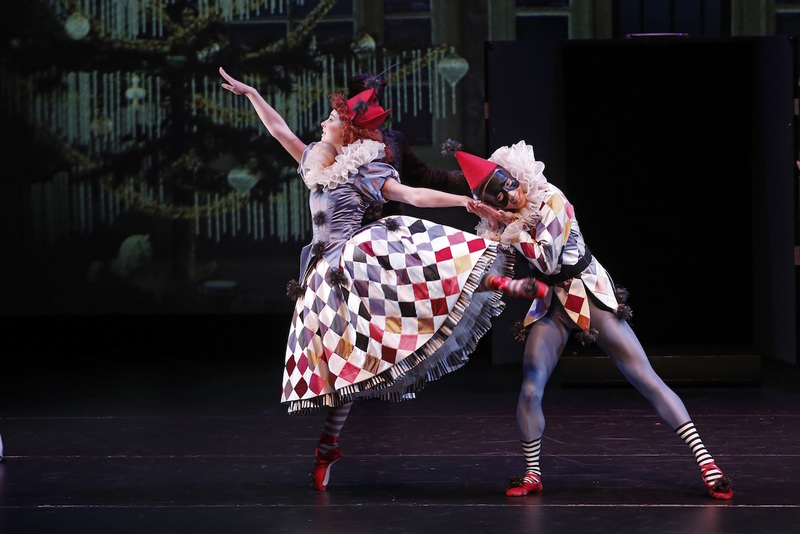 Storytime Ballet: The Nutcracker plays multiple sessions at Playhouse, Arts Centre Melbourne until 18 December 2016, before touring to Sydney, Chatswood, Wollongong, Penrith and Canberra.